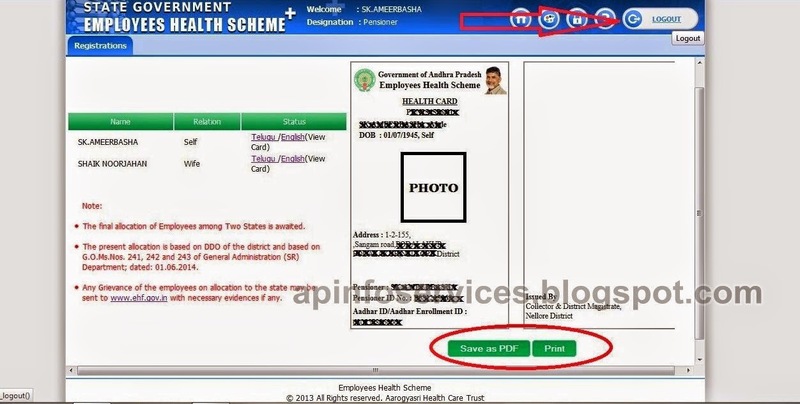 Employees health scheme is intended to provide cashless treatment to all the Andhra Pradesh state government Employees including the state government pensioners , All State government employees and pensioners applied for health cards at http://www.ehf.gov.in/ . 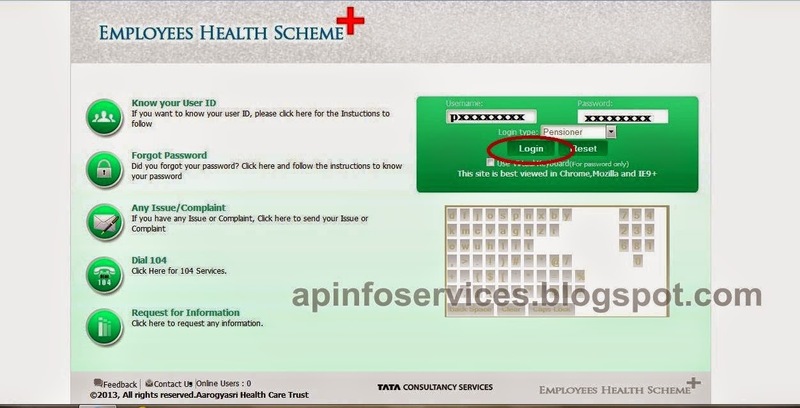 Last post i am also provide how to apply health card , this tutorial help to those persons already applied health card and awaiting for permanent health cards. 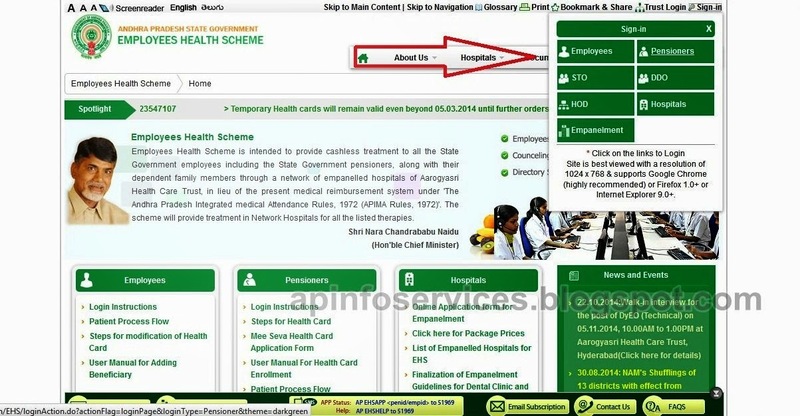 How to Download Health Cards of AP Employees and Pensioners online ? Go to http://www.ehf.gov.in/ Website and than click on "sign-in" on the right side corner. Than select your option "Employee or pensioner" here i am selected pensioner. Now enter your ID and password than click on "Login"
Click on "DOWNLOAD HEALTH CARDS"
Now Click on "Print " option take print out of Health card or click on "Save as PDF" for save soft copy of your health cards , family members cards also do same. than click on "LOGOUT" for logout your account. If you like this post please click on below share buttons and share this post your friends.